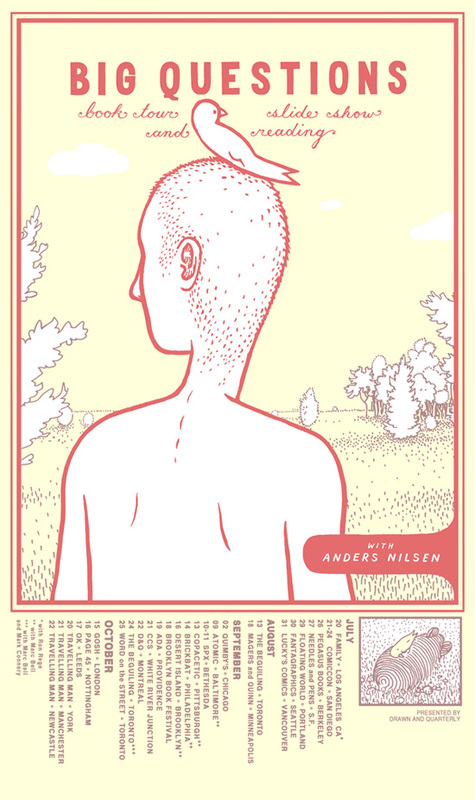 We are proud to announce the debut of Big Questions (Drawn and Quarterly Books), the 658 page graphic novel epic by Anders Nilsen. 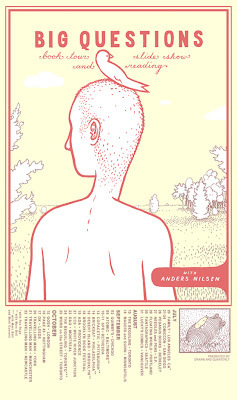 Anders will be joined by Ron Rege jr AND Souther Salazar, and the fellows will be doing slideshows and readings from their recent work. A signing of Big Questions with Nilsen will follow.